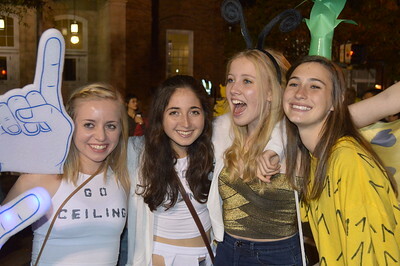 Students flooded Franklin Street Halloween night decked out in their most creative costumes. 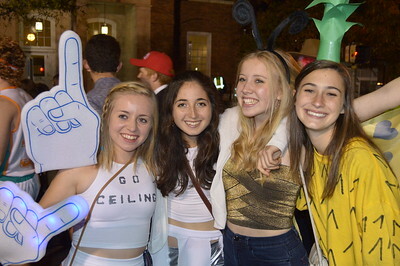 Every year the street is closed down so that UNC students and Chapel Hill residents can enjoy the night without fear of traffic. 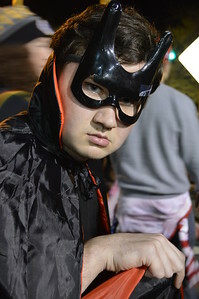 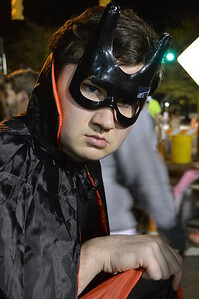 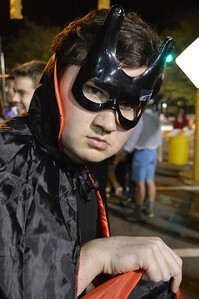 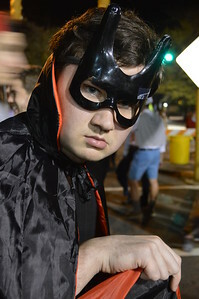 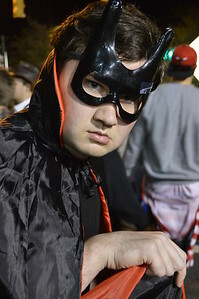 Hunter Ives, a first-year film major at NC State, travelled to Chapel Hill on Halloween night to participate in the historic Franklin Street festivities. 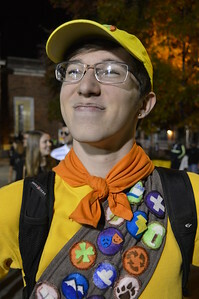 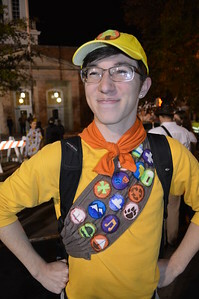 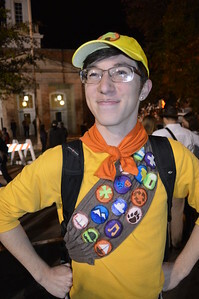 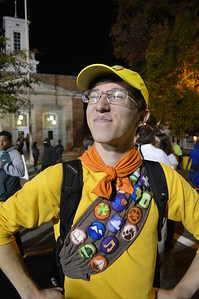 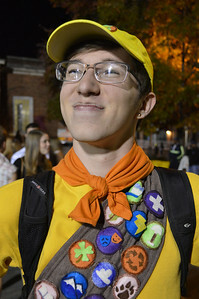 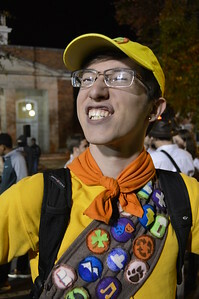 Jay Darden, a first-year psychology major, sported a handmade Russell costume from the movie "Up" as he made his way down Franklin Street Halloween night. 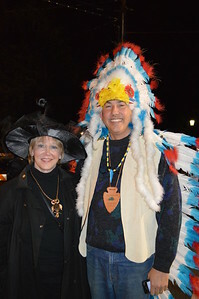 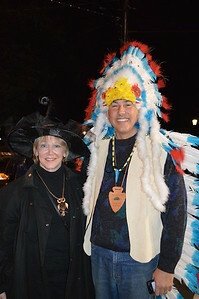 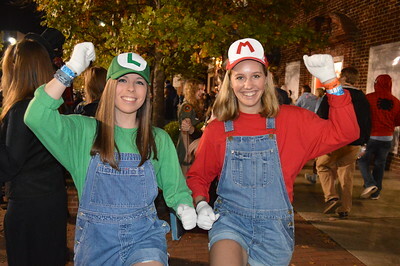 Scott and Jennelle Williams, local Chapel Hill residents, pulled out their finest costumes to check out the college scene on Franklin Street Halloween Night. 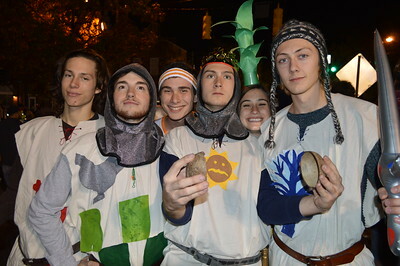 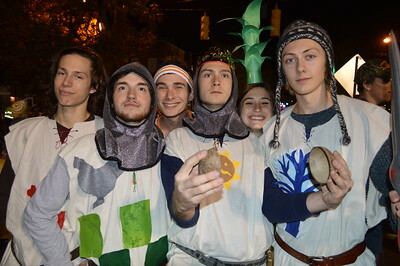 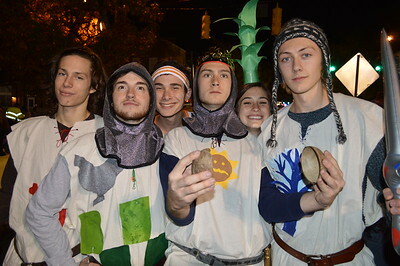 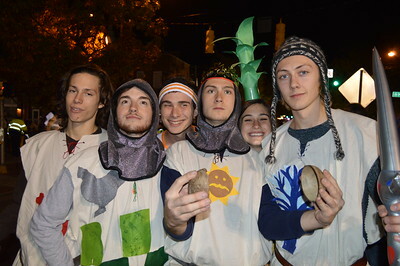 A group of first-year students sported handmade knight costumes from Monty Python and the Holy Grail on Saturday night. 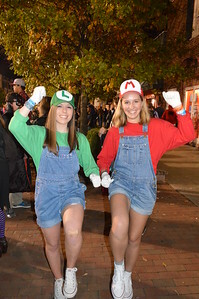 They trotted up and down Franklin Street enjoying the Halloween festivities. 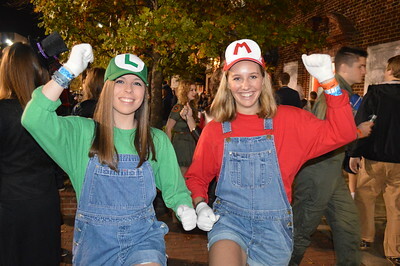 First-years Kate Goldenring, an economics major, and Sarah Wotus, a biostatistics major, celebrated their Halloween among the hoards of UNC students flooding Franklin Street on Saturday night. 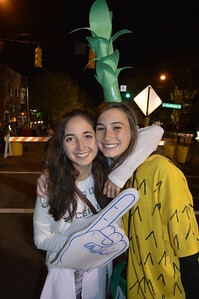 First-years Kate Goldenring, an economics major, and Sarah Wotus, a biostatistics major, decked out as a ceiling fan and a pineapple to celebrate Halloween among the hoards of UNC students flooding Franklin Street on Saturday night. 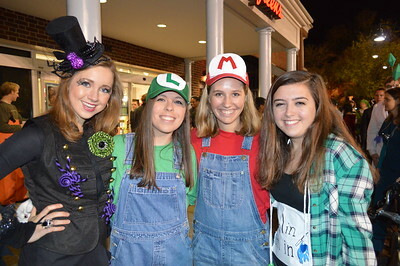 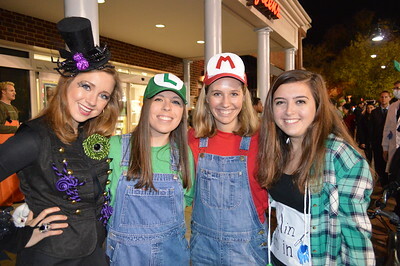 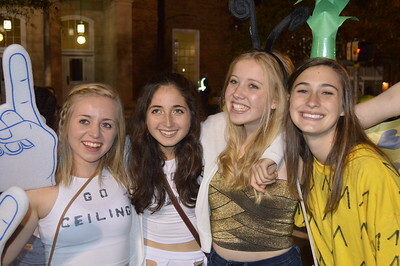 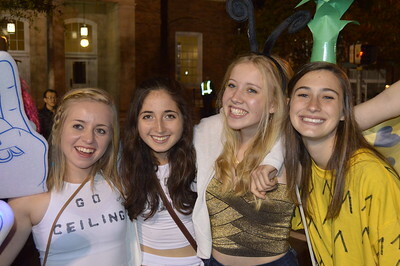 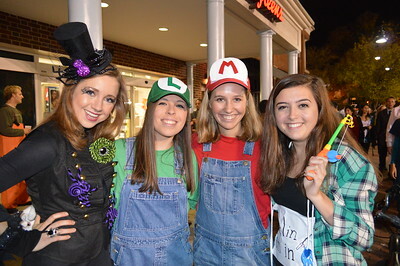 (From left to right) First-years Allison Carter (chemistry major), Kate Goldenring (economics), Laurel Cunningham (global studies), and Sarah Wotus (biostatistics) joyfully celebrated their Halloween among the hoards of UNC students that flooded Franklin Street on Saturday night. 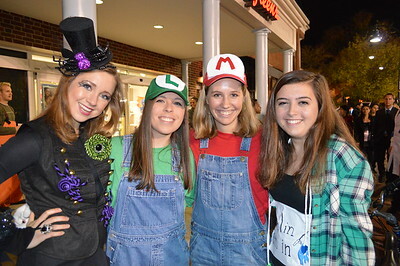 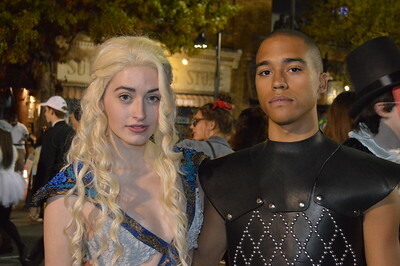 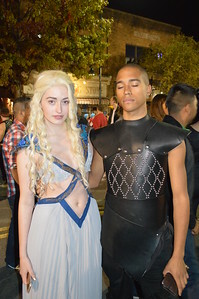 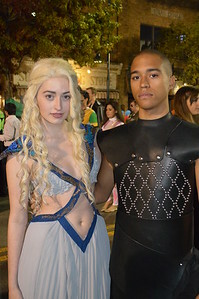 Juniors Laura Griggs, a PWAD major, and Alex Crawford, an environmental science and biology major, sported handmade Game of Thrones costumes among the hoards of UNC Students flooding Franklin Street Halloween night. 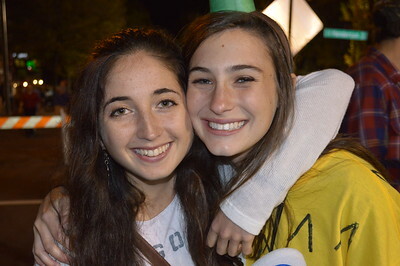 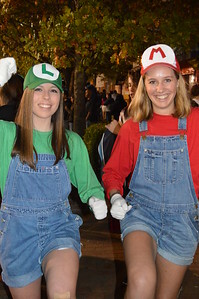 First-years Shannon Foster, a communications major, and Sara Milgrom, an EXSS major, sported Mario and Luigi costumes among the hoards of UNC students that flooded Franklin Street Halloween night. 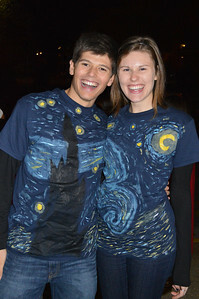 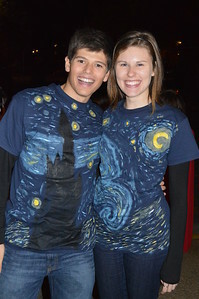 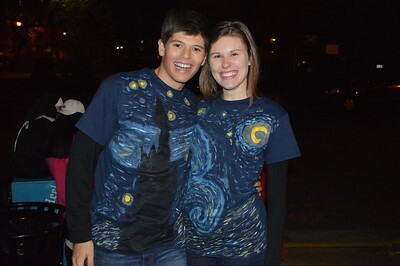 UNC first-year Jameson Blount, a biology major, and junior Alexandra Rabey, a music and education double major from Converse College, handmade their joint Van Gogh "Starry Night" costume, and headed to Franklin Street Halloween night to participate in the festivities.